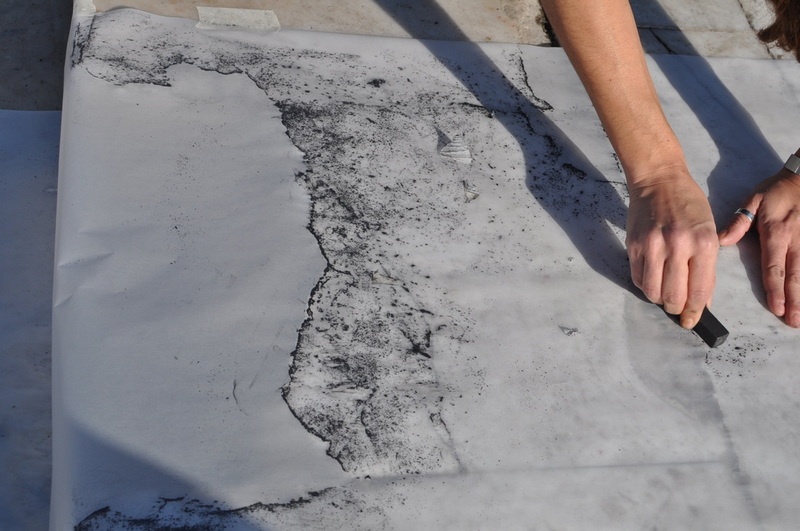 Different public spaces all over Europe are “scanned” in the form of rubbings. 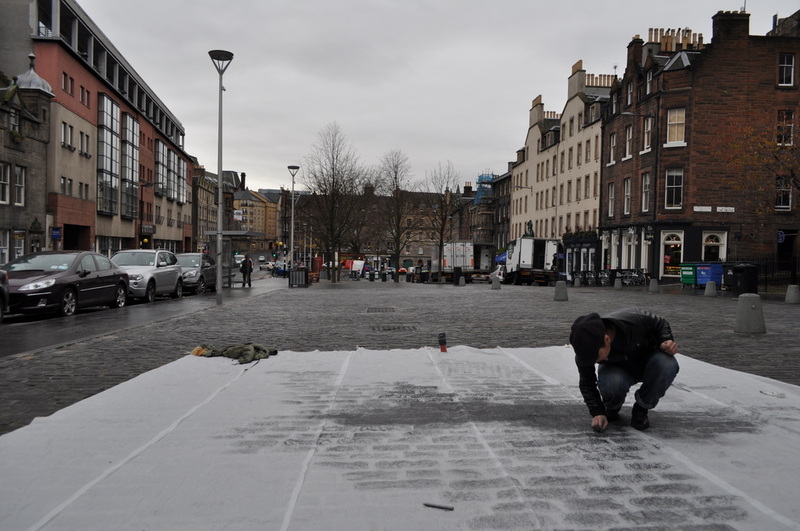 These are quite large rubbings (“frottage”) of public spaces – or places where people might pass by and walk over the project, leaving footprints on it or (preferably) interact with it and take part in the rubbing itself. A public space in Besançon was “scanned” in form of a rubbing where people were invited to take an active part in the whole process. They were told to do as they please and to leave whatever kind of mark they chose on the rubbing. This rubbing is not only the imprint of the given space but since it is an interactive work it does also contain: the different „handwriting“ of people, their strength of line, fingerprints, their energy and the choice of how and where to leave their mark on the paper. The interactive version of the frottage process also had the quality of a “playfulness of a children’s playground”. People of the interacting crowd simultaneously did whatever they liked on the pavement but rarely in interaction with each other, like games that toddler chose to play next to each other but not with each other.